Nobody thought it would be more than ten years before Henley would follow up after the brilliant The End of the Innocence album. Of course that's not technically true, since he rejoined the reformed Eagles back in 1994, a reunion which produced an album, a massive tour and exceeded everyone's expectations (and those expectations were pretty high). So Henley wasn't exactly missing from the limelight. It can be fair to say though, that after a decade and a half of sheer brilliance, anything he would put out in the year 2000 could be seen as a letdown. Sadly that's exactly what this feels like. There were stories and stories about how long he was working on this album. In many ways, this is reminiscent of The Eagles The Long Run in terms of expectations, duration of waiting, and overall quality. It sounds in many cases that he's stuck in a holding pattern, and that "holding pattern" doesn't help matters when it's been eleven years since your last release. In many cases, the songs sound like they came right out of 1985. The production and style are very much a reminder of what made Henley great all those years ago - with it's mechanical sounding drums and heavy synthesizers, it sounds like he's trying to replicate the sound that made him big, not necessarily trying anything new. Then, when you realize that there's 70 minutes of music here, it makes you wish he could of left some songs off, or at least whittled down some of the songs a bit. Eight of the songs here exceed five minutes in length, so it really does become tiresome to listen to the whole thing repeatedly. By the time we get to songs like The Genie or Miss Ghost, we really can't give them a fair listen because we're exasperated by this point. Then there's the issue of the mixing of the tracks. If anything, Henley has mellowed out a bit (just a little bit) in his advancing years, so the album has more slower, introspective songs. Not a bad thing, but since they're randomly placed all over the place, the album shifts gears too often and too radically. A classic example is the third song For My Wedding. It's a very sweet piece, but a song like this belongs at the end of the album, say - the last song? Other examples are Annabel and My Thanksgiving, they all sound too similar and the listener wishes for maybe one of these songs as opposed to three that made the final cut since the differences seem minimal. Because of the bloated length, there are several good songs that seem to get a bit lost in the murk. Taking You Home shows off Henley's softer side, whereas the title track and Working It show off the angrier side of his personality - where he packs as much message possible within the lyrics to get all of his points across. My personal favorite is the "aliens from outer space" song, They're Not Here, They're Not Coming which essentially says that even if there was intelligent life out there, our planet is probably the last place they would want to visit. The best thing to do when listening to this album is not to compare it to the last couple of records that blew everyone completely away. There's enough pleasant material within these songs for some moderate enjoyment. 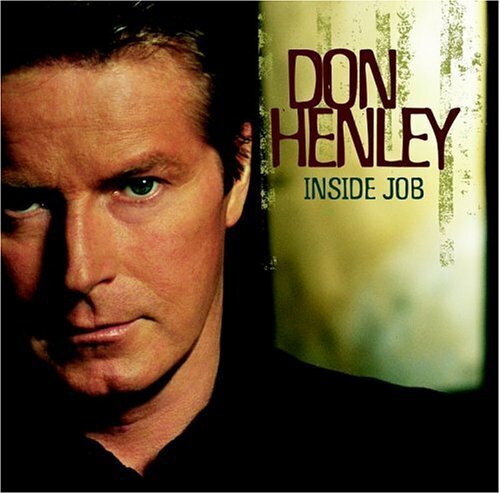 You can't help but wonder, though, if this is the last full length release we'll ever see from Don Henley.